Ground white pepper used to come in a tin container with little holes for sprinkling. Now, they come in little glass jars just like in the US. Last time when I was in Thailand, I found the tin container. I got one and will keep refilling! 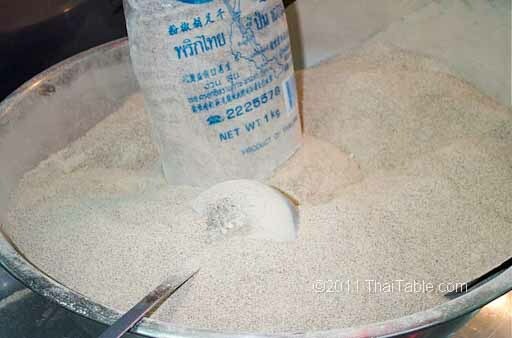 The ground white pepper is what Thai people used at the table and in the kitchen. Otherwise, white peppercorns are used. Black peppers are not as common as in the West.